They are finally here - the new Vandoren V16 ebonite mouthpieces for bari saxophone. 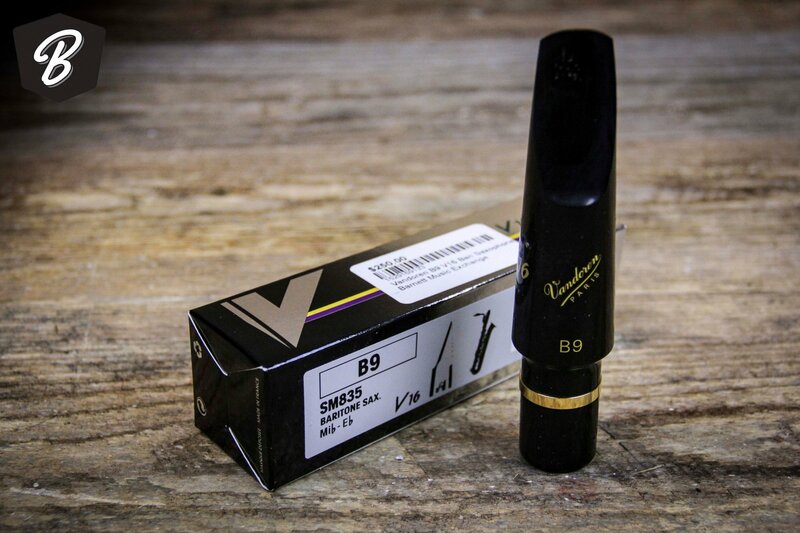 The V16 line has quickly become the most popular jazz mouthpiece by Vandoren for soprano, alto, and tenor, and it is finally now available for the bari. Of all the current production mouthpieces available, these most closely resemble the Florida vintage Otto Link Slant Sig mouthpieces in sound and feel. They have a warm and rich sound, and a very fast response thanks to being free blowing in general. If you've been trying a bunch of old Links trying to find one that plays consistently for you, definitely give one of these a try.